Sandmeyer is utilizing our Quickmill Annihilator machine to ramp up production of tubesheet and baffle drilling. 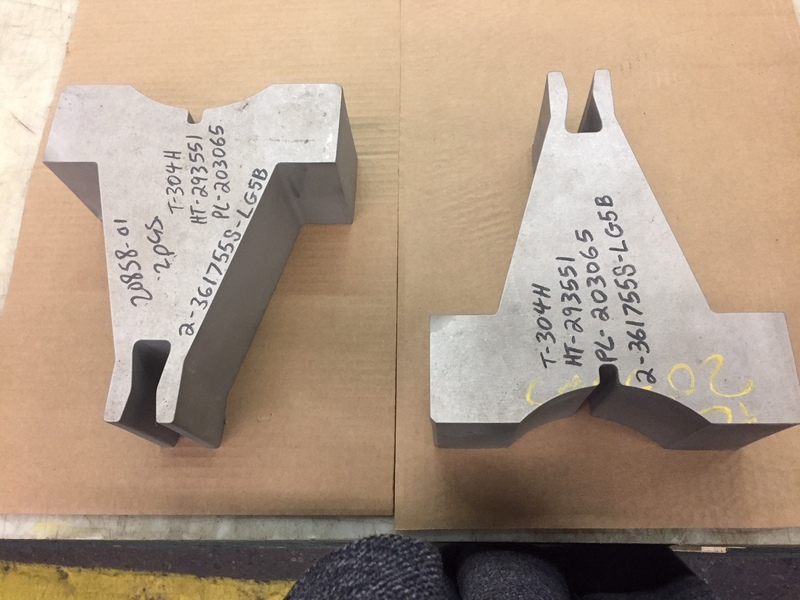 We can offer single piece drilling of our vast inventory in thicknesses of 6″. 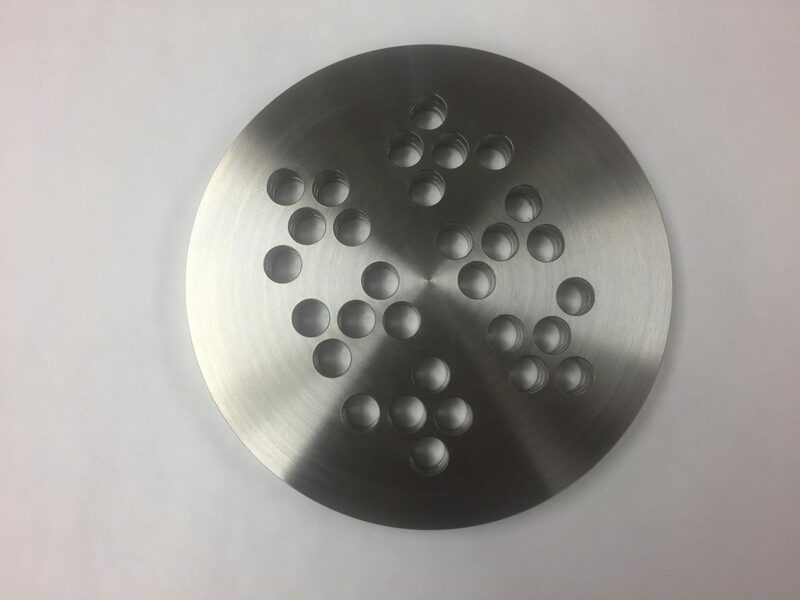 We can even supply holes with expansion grooves. All our products are delivered to customer specifications with accuracy on-time, every time. Our customer, who specializes in industrial pipe support systems, recently ordered 2 pieces of this unusual shape. 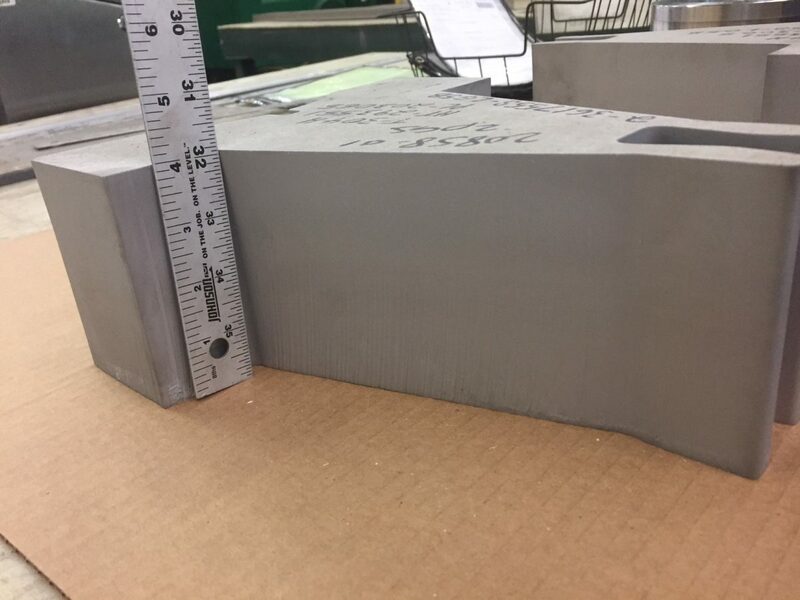 It is made of 4″ thick 304H that we cut in our waterjet machining center. 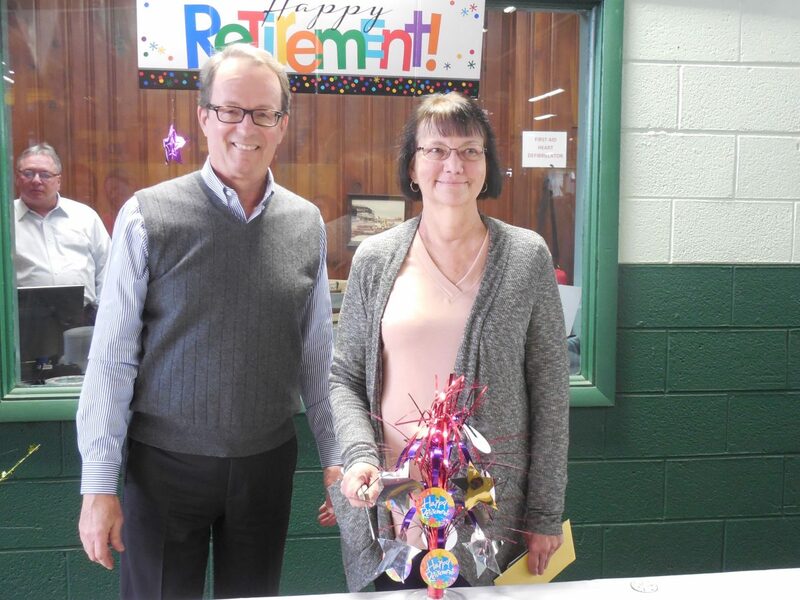 After 27 years of dedicated and loyal service, Helen Adams retired from Sandmeyer Steel Company on Wednesday, January 31, 2018. To mark this occasion, we held a ceremony with a cake and a gift to show our appreciation for her years of service. We wish Helen all the best for her retirement!